Editor’s note: An earlier version of this story originally appeared on Planet Jackson Hole. JACKSON HOLE, WY – A New Mexico woman driving through Jackson, Wyoming, on her way to Montana to care for her ailing mother left the state recently with a life-changing souvenir. 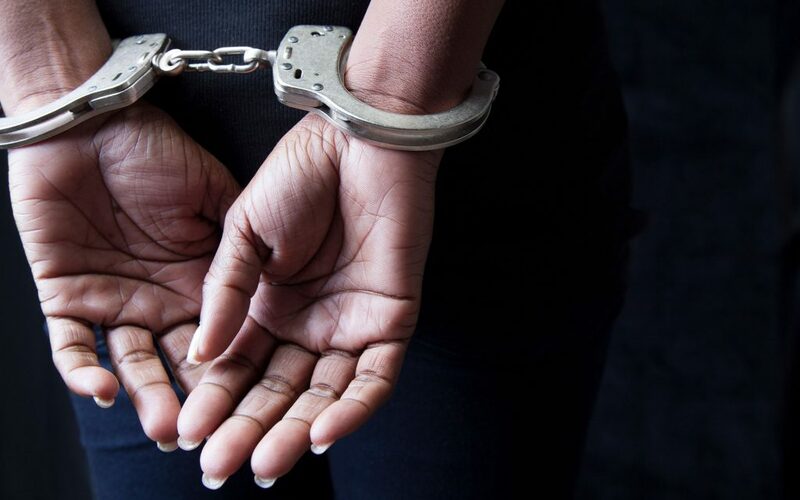 In early July, Anita Maddux, 50, was charged with a felony for possessing a 10-milliliter sample bottle of cannabidiol (CBD) oil from Cid’s, a Taos, New Mexico, health food store. Now Maddux could face up to five years in prison and a $10,000 fine pending an August 16 hearing. Jailed as a 'flight risk' for CBD: A 50-year-old woman driving home to nurse her mother fighting stage 4 cancer. On Sunday, July 8, Maddux was driving from New Mexico to Montana to care for her mother, who has stage 4 colon cancer. Maddux uses CBD oil for her own chronic back pain—she has a missing disc between her L1 and L2 vertebrae. CBD oil, she said, had brought her some relief, though she took it only sporadically. At Cid’s, Maddux worked as an herbalist in the health and wellness department where she received a sample shipment of CBD oil from Functional Remedies. 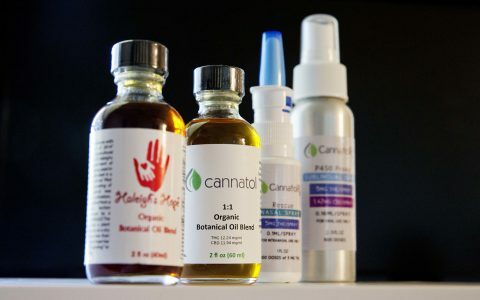 The Colorado company’s CBD oil can be found on the shelves of many health food stores and groceries, including Lucky’s Market in Jackson at the time of her arrest. Weeks ago, Maddux placed the sample bottle in her bag and didn’t give it another thought. On Sunday, July 8, as Maddux drove north toward Montana, Teton County Sheriff’s Deputy Jesse Willcox noticed Maddux’s expired California license plate. He pulled Maddux over and discovered she was driving with an expired license and without insurance. Maddux said she has led a simple life and didn’t have the money to address those issues before hitting the road. “My plan was to just get to Montana, to be with my family and take care of everything there,” she said. According to the probable cause affidavit, Willcox asked Maddux if she could pay an $850 fine for the tickets or appear in court on July 31. The affidavit stated Maddux said she could do neither. She didn’t think that would land her in jail, Maddux said. “I have never been pulled over before. So I thought the best thing to do was just to be honest about my situation.” A July 30 background check on Maddux showed she has no criminal history. After he deemed her “a flight risk” because she could not pay the fines and was likely to not appear in court, Willcox arrested Maddux. Life has already changed for Maddux. To help pay for an attorney, she sold her Toyota Tercel for $550 and is now relying on the generosity of friends to make ends meet. Maddux worries the volunteer and service work that has become a large part of her identity will no longer be an option if she is convicted of a felony. She worked as a disaster relief volunteer in Haiti after its 2010 earthquake and in the Philippines after its 2013 typhoon. Two weeks after Maddux’s arrest, local and state law enforcement showed up to two local Jackson Hole stores, Lucky’s Market and Jackson Whole Grocer, to inform those store officials that CBD products were illegal to sell if they contained any amount of THC, the psychoactive component of cannabis. Both stores have since removed those products from their shelves. Indeed, as other states loosen cannabis laws and federal lawmakers sponsor legislation to do the same, Wyoming remains a dubious place to possess a hemp-derived product with even trace amounts of THC. It is a felony offense in Wyoming to sell, buy or possess more than .03 grams of CBD oil that contains any amount of THC. The FDA just approved CBD in Epidiolex, but the DEA still says it's an illegal Schedule I substance. However, manufacturers maintain that if their product contains traces of up to .3 percent it is perfectly legal, sowing confusion for state residents and retailers. Lucky’s did not return several requests for comment, nor did the attorney representing Functional Remedies, Garrett Graff of Hoban Law Group. It seems more of CBD’s potential health benefits are emerging by the day. 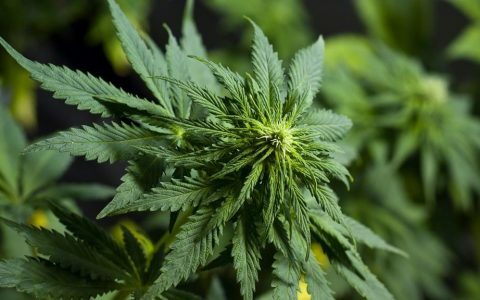 According to a study published July 30 in Nature, mice with pancreatic cancer that were treated with CBD and chemotherapy lived three times longer than mice treated with chemotherapy alone. Wyoming actually has a legal hemp program, slated to begin next year. Miller called Maddux’s case “unprecedented.” To his knowledge, it is the first time someone faces charges for carrying a vial of CBD oil. He pointed to cases where people have been arrested for possession of both marijuana and CBD. The “CBD was thrown out,” he said. In Congress, the Republican-led farm bill would remove hemp's Schedule I status. It's already passed the Senate. The state sheriffs association has actively lobbied against all forms of cannabis reform, including medical marijuana. The Wyoming Association of Sheriffs and Chiefs of Police’s stance on this issue, though, is hard to overlook. It actively lobbies the Wyoming Legislature against cannabis reform, including medical marijuana. 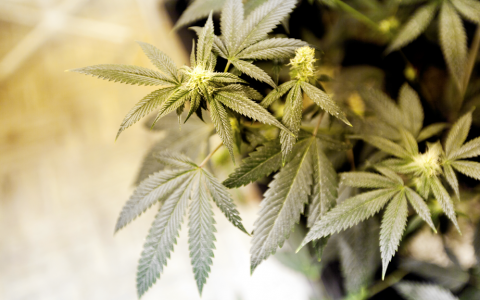 The statewide interest group heads a campaign called “There is no Debate,” that holds community events and works with lawmakers and community leaders to propagate its anti-cannabis messaging throughout Wyoming. Medical professionals, on the other hand, often have different feelings about medical marijuana and its potential uses. On Harvard Medical School’s health blog, Dr. Peter Grinspoon acknowledged that medical marijuana is a subject of debate among doctors, researchers, policymakers, police and the public. But, he said CBD falls into its own category. Back in Montana (where medical marijuana and CBD products happen to be legal), Maddux is biding her time caring for her ailing mother and going to job interviews. She does not dispute the reason why she was initially pulled over, which had nothing to do with CBD oil. But she reflecting more deeply about her experience with the law. 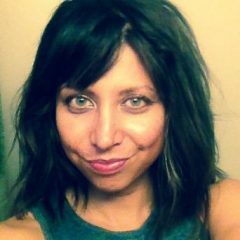 Part of her past volunteer work involved offering yoga instruction to inmates in Oregon prisons. Maddux’s experience in Jackson has her wondering about some of those inmates and their predicaments. In other words, had she lacked the resources and life experience to question what happened and obtain a lawyer, Maddux said she could have slipped through the cracks of the legal system. CBD is stopping 95% of autism symptoms and I”m off all 5 prescriptions. I see exactly what has been going on here. I’ve been on over 20 synthetic pharmaceuticals, a lab rat for profit my entire life. People going against CBD when it’s helping so many people is beyond me. It’s saved my life, but that’s not enough, it has some weird political and misconception about people abusing drugs to it. I don’t understand, it allows me to get out of this bed and go in public. How on Earth is anyone against this plant? What is immoral even with THC, isn’t that what xanax tries to do but fails, make you feel positive without bad side effects? I’ve been fighting this for so long and I don’t understand why I still have to fight against so much ignorance and hatred over a plant. I NEVER CHOSE THIS TO BE WHAT STOPS THE MENTAL AND PHYSICAL 24/7 HELL. Well Written Article Robyn….thank You! I was arrested in $aratoga, WY Sept 2017 for the same thing: possession of CBD hemp oil. Unfortunately my attorney received $11,000 and refused to file any motions and I spent 310 days incarcerated unable to make $50k bail. (In disclosure there was a 2nd bogus felony I was also charged with.) I ended up taking an Alford plea and now I’m a felon for life and on 3 yrs supervised probation. I highly advise you to stay OUT of Wyoming as they have the 2nd highest incarceration rate in the nation and 1 in 48 residents are in prison, parole or probation. They are the least populated state in the nation and they have the highest suicide rate in the US. Don’t even drive through that state–doing so could destroy your life as it did mine. A big shout out to Officer Robert Bifano, assistant DA Sarah Chavez and Judge Dawn Snyder for pulling a nice tag team chokehold on me and hurting my elderly parents. Truth doesn’t mean anything to that trio. This is the state that gave us the horrific murder of poor Matt Shepard beaten like a dog and left to die tied to a fence. All those states are anti cannabis. South Dakota, Wyoming, Montana, Nebraska, Kansas, Idaho. I won’t even bring up the southeast. I’ve never been to any of said states on here. I don’t plan on ever going, either. What a waste of tax dollars. there needs to be a huge protest across the USA on this nonsense. Reschedule and legalize it. Our law firm has recently encountered several cases in which those possessing CBD oil have been charged with felony possession of marijuana in liquid form. Yeah, I know, CBD oil has little or no THC, but prosecutors don’t seem to care and a majority of my colleagues in the Wyoming State Legislature have refused to change the law. 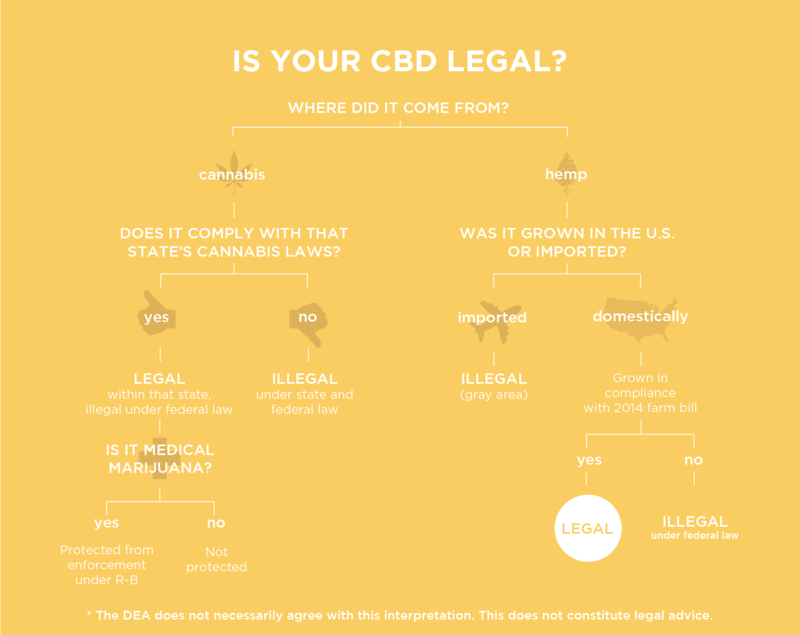 CBD oil manufacturers often say that it’s “legal in all 50 states!” Don’t take that as an accurate statement. Yes, CBD oil is legal in Wyoming, but ONLY for a limited number of patients suffering from a form of juvenile epilepsy and ONLY after getting a prescription from a neurologist. Oddly enough, there are retail outlets all over Wyoming offering CBD oil for sale. Indeed, Ms. Maddux was charged with a felony for possessing an item that was openly being sold at a retail outlet down the street. 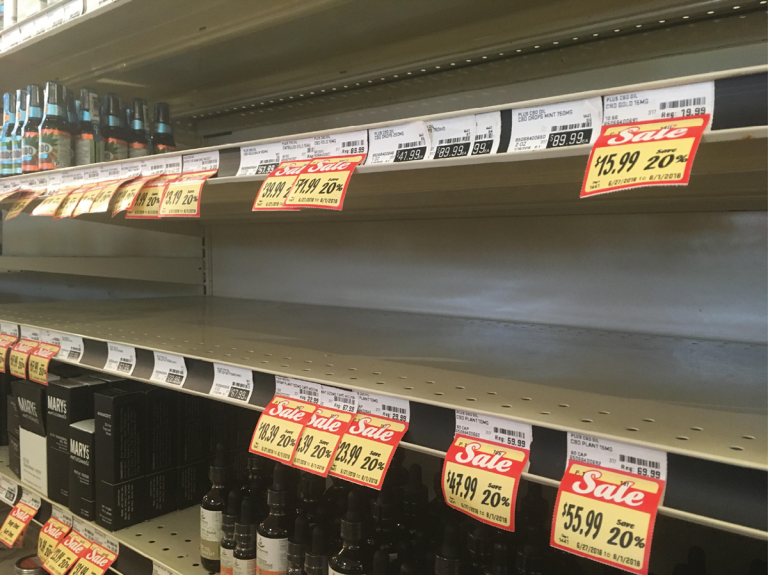 In my own town of Laramie, I’ve run across at least five retail outlets where CBD oil is being sold under the mistaken assumption that it’s legal. Strictly interpreted, the law only allows the aforementioned juvenile epileptics (currently fewer than 30) to use CBD oil in Wyoming. In my mind, that is bad law that must be corrected. My colleague, Rep. Stan Blake, and I will continue to sponsor bills to legalize CBD oil in Wyoming. Meanwhile, please be careful. Given Wyoming’s current law, it could be an expensive mistake. I would like to help Anita Maddux. Does anyone have her contact information? Also, @thenomadicheart, I would love to chat with you about my panel “What’s the CBDeal” at The State of Cannabis. This turd of a sheriff says he thinks a felony won’t stick. Then why the f#Ωk did you arrest and charge her with one in the first place, ya tool? Because you hope she’ll plea down to a ridiculous fine and keep the meat grinder known as the “Justice System” in gravy, you traitor?